All this god-like fruit comes at little cost in terms of time or know-how. Once established, the plant does not call out for pruning or even for help against insects or diseases. Just enjoy. The only caveat is to start out with a good tasting variety that ripens within the growing season. Here in USDA hardiness Zone 5 in the Hudson Valley, for flavor, cold-hardiness, and ability to ripen within the growing season, I recommend the varieties Szukis, Mohler, Dooley, and/or Yates. 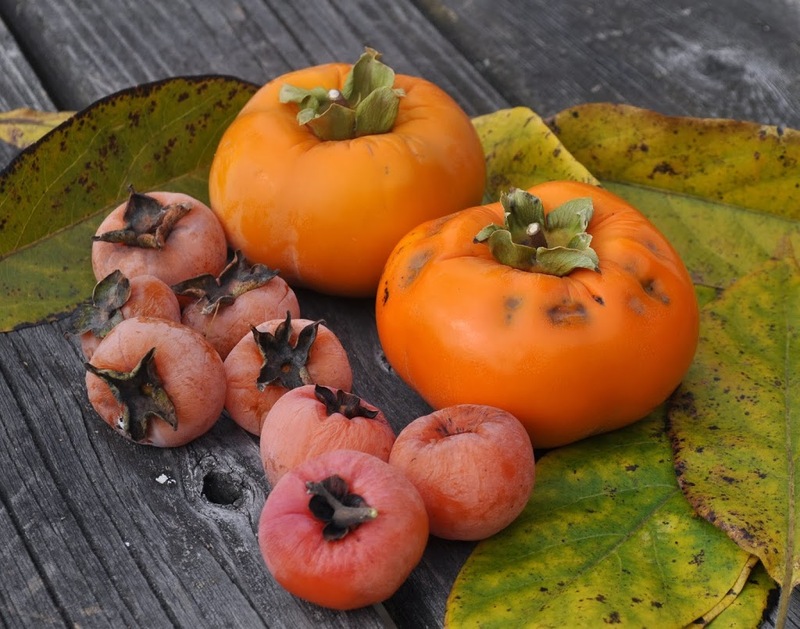 In contrast to our native American persimmon, it’s cousin, the Asian persimmon, also known as kaki, is quite familiar in markets. Kakis have been cultivated in Asia for centuries. Marco Polo saw them near what is now Shanghai and, over the centuries, many varieties have been selected, over 2000 of them. Previous to the 20th century, it was the most widely grown fruit in Asia. Alas, I cannot grow kakis because they generally succumb to winter cold below about zero degrees Fahrenheit (USDA Hardiness Zone 7). But would I want to grow them? As compared with American persimmons, this other “fruit of the gods” is larger — the size of a medium to large tomato, depending on variety — and firmer, which is why you do find them in supermarkets. With some varieties, you can bite into and enjoy them while the flesh is crisp. Try that on American persimmon, and for the next half-hour, you’ll feel like the nozzle of a vacuum cleaner is at work inside your mouth. As far as flavor, kakis are more watery than American persimmons, perhaps a tad sweeter, but not as rich. Most gardeners, given the choice, plant kakis rather than American persimmons. After all kakis taste good and they are larger and easier to handle and store. book) planted a tree of the kaki variety Jiro in her front yard a few years ago and this year reaped a bountiful crop of large, beautiful, crisp, tasty persimmons — that’s in Maplewood, New Jersey, USDA Hardiness Zone 6b, only 90 miles and one degree of latitude south of here. Jiro is not a particularly winter cold-hardy variety of kaki. What’s more, crisp-ripe kakis, such as Jiro, generally require warmer summers than kakis that only develop full flavor when soft. New Jersey summers may be hot, but nothing like the hot, long summers of Mediterranean climates where these fruits grow so well. My plan, then, is to plant one of the known cold-hardier varieties of kaki, varieties such as Eureka, Saijo, Giombo, and Great Wall. With a prime location, such as a south facing slope or backed by a warm wall, the trees might survive and ripen their fruits. bear only male flowers or only female flowers. Because a fruit is the fleshy expansion of female flower parts around the seed, only females bear fruit. With most plants, those female parts swell in response to seed development which, in turn, is in response to pollination from a male flower. 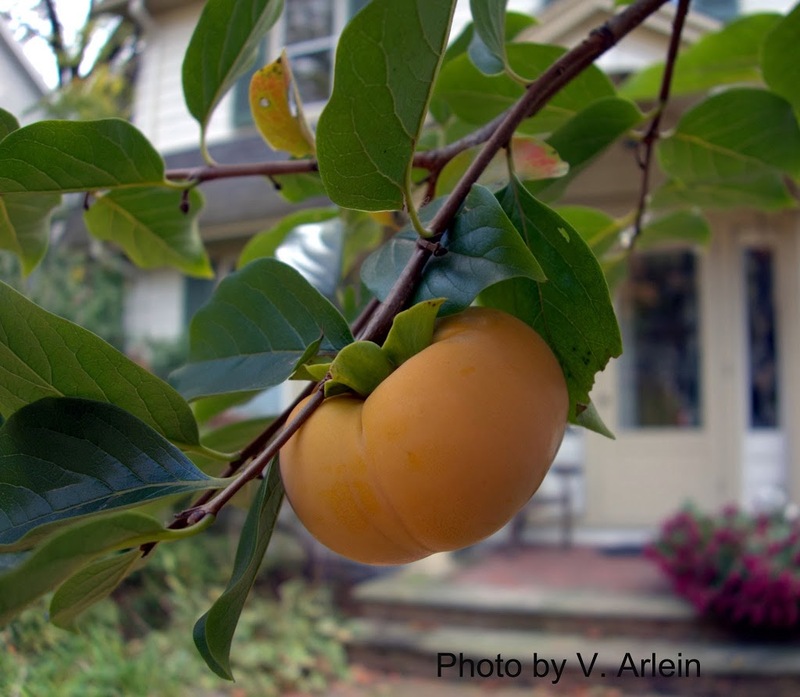 But not to worry; there’s usually no need to plant useless (except for their pollen) male persimmon trees when growing persimmons. Many cultivated, female varieties of persimmon bear fruits parthenocarpically (from the Greek, “virgin fruit;” is there a religion here? ), that is, without pollination. The previously mentioned varieties of American persimmon are parthenocarpic. If parthenocarpic fruits were tainted with pollen, they will, of course, contain seeds. With some kaki varieties, bite into the fruit and you experience more than just the presence or lack of seeds. So-called “pollination-variant, non-astringent” kakis are only non-astringent (astringency being that vacuum-cleaner-in-the-mouth sensation) if pollinated. Fortunately, the crisp-ripe Jiro fruits grown by my friend Vicki, is a “pollination-constant” variety of kaki: sweet when crisp-ripe whether or not they were pollinated. The fruits have no seeds and no need to be sired by a nearby male. This entry was posted in Uncategorized and tagged Diospyros, kaki, parthenocarpic, persimmon, Uncommon Fruits For Every Garden. Bookmark the permalink. Trackbacks are closed, but you can post a comment. 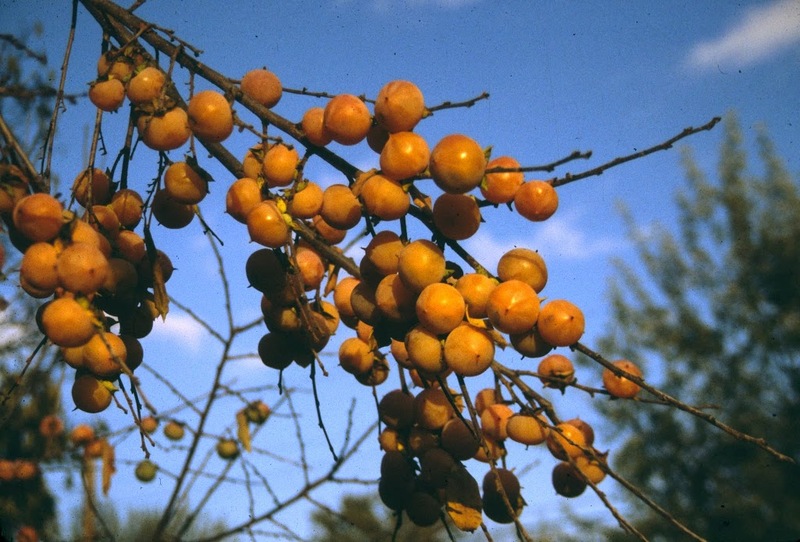 Don’t forget dried astringent persimmons like the Hachiya. This fruits are really fantastic, maybe i will plant them in my new garden. Love persimmons, never seen a large one with no seeds. You could definitely grow American persimmons and perhaps hardier varieties of Asian persimmons. Check out what http://www.raintreenursery.com, which advertises on my blog page, has.